Establishing collaborations with different research projects driven from the arthroplasty registry of Catalonia (RACat) reveals the importance of the relationships and communication between professionals who manage and analyse data on the one hand and clinicians on the other. A registry is a data base with a huge potential. The RACat, both in the number of cases registered and in the way data is used, is a very powerful research tool which needs the collaboration between clinicians and researchers. It concerns two visions, both equally necessary and complementary. 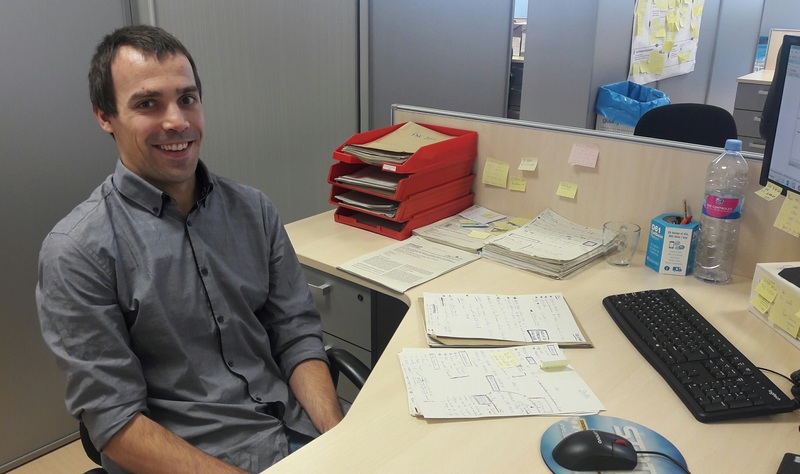 Today, we interview Jorge Arias, a researcher that works at the RACat who is involved in different research projects driven by the registry itself at the AQuAS. Do clinicians and researchers speak the same language? Yes and no. Even though we are usually in it together, we do not have the clinical experience to be able to fully interpret results and propose sufficiently precise studies which reflect the reality of clinical practice. Clinicians, on the other hand, are often not used to the different analyses used so that collaboration becomes a key element to obtain results of interest. 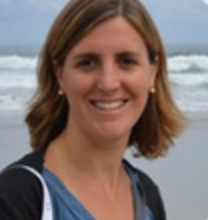 Who decides what statistical analyses are done? I would say that the researcher directs things but in practice it doesn’t happen quite like this. In some ways, the analysis is determined by the data itself and the objective that is established. Let me explain. Depending on what one wants to investigate, to achieve the greatest possible precision the analysis needs to be “pre-defined”, in some way or another, so to speak. It is true that there is always scope for innovation and you almost always need to choose (from among several approaches to the problem) the most appropriate one. But in my opinion, in most cases the type of analysis is determined, as I mentioned before, by the aim of the research and the data available. At a Catalan level, we are starting a relatively new line of work in our environment in collaboration with the Hospital de Sant Rafael. It is related to the assessment of results according to the annual volume of procedures (arthroplasties in our case), and we are pleased with the interest which the project seems to be generating. When you talk of interest, what are you referring to? hospitals have since contacted us showing their interest in collaborating in this line. We feel this is very important. Could you point out any other experience? Yes. We are also involved in comparing results based on specific models of prosthesis, in comparing a “more general” type of implant, bone cements and in analysing the possible influence of comorbidity in surgical results. In terms of patients, how do you incorporate their views or experiences? 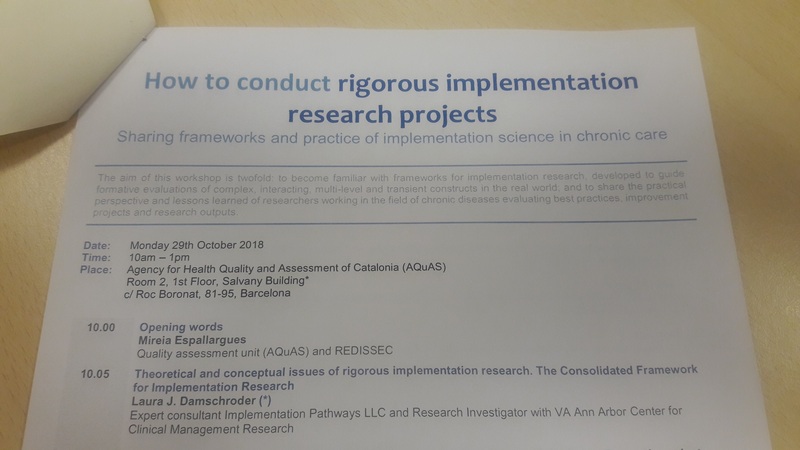 Although the patient is at the centre of all the projects mentioned, in particular I would like to highlight the projects related to those known as “PROMS”, Patient Reported Outcome Measures. These results are particularly interesting because it is in fact the patient who rates the surgical results in terms of, for example, pain and improvement in life quality. Focusing on the idea of collaboration, I would like to highlight what I think is a particularly relevant project. We began it with clinicians at the University of Exeter in the United Kingdom by “looking for” the questionnaires we could include in the registry, but seeing that the most used questionnaires in other registries were not available in our context we decided to take the initiative and adapt them ourselves. In addition, in the following weeks, we hope to obtain a “direct” product from this project in collaboration with the University of León and the University of Oviedo, respectively, because I am in fact right now working with them to pilot one of these questionnaires on the quality of life, more specifically the HOOS, Hip disability and Osteoarthritis Outcome Score. In your opinion, what influence can this collaboration have? Collaboration in any field of science is basic and necessary in order to obtain results with real practical implications which in the end improve some important aspect. We have spoken of collaboration at a clinical-researcher level but I guess we should talk of the need for this collaboration at all levels; that is, not only with clinicians but also with patients, managers and even the industry. The subject is vast but focusing on the clinician-researcher collaboration, I would like to end by saying that from the RACat we encourage and are delighted to work with health professionals with foresight and clinical experience that want to collaborate with us. And, it goes without saying, us with them. The EIT Health consortium includes a total of 144 leading companies, universities and research centres from across 14 European countries whose aim is to develop ecosystems of innovation in health and also to generate new ideas in business, support start-ups and involve students in the range of programmes driven by EIT Health. The Spanish hub was formally created on 31 July, 2015, and its headquarters is located in the Parc Científic in Barcelona. The EIT Health Spain is made up of entities in the areas of research, education and business creation from 5 regions (Catalonia, Madrid, Valencia, the Basque Country and Andalusia). The AQuAS is one of the associated members of EIT Health and is part of the Spanish hub, EIT Health Spain. Why did all this come about? In 2008, the European Union created the European Institute of Innovation and Technology, an independent EU body to promote innovation and entrepreneurship in Europe via the “KIC”, Knowledge and Innovation Communities in different disciplines. There are several very different communities: EIT Climate-KIC, EIT Health, EIT Digital, EIT RawMaterials, EIT InnoEnergy and EIT Food. However, we put the focus on the health community. The mission of EIT Health is to enhance the competitiveness of European industry while also improving the quality of life of citizens and the sustainability of public health systems. In practice, all this translates into calls which EIT Health makes annually in order to finance innovative projects where proposals can be presented that meet the requirements of the European Institute of Innovation and Technology. In addition, EIT promotes networking and training activities aimed at its members to develop new projects and establish synergies which favour innovation in health. What role does the AQuAS play within the EIT Health framework? The AQuAS began participating in this community of knowledge and innovation in 2016 with a Big Data in health training programme as part of the Summer School. In 2017, the Co-Creating Innovative Solutions for Health project (CRISH) was launched. It is an educational programme that brings all the stakeholders together – including patients and caregivers – with the aim of learning how to participate, co-create and co-design top research projects and innovative projects in healthcare through patient experience, responsible research and innovation. 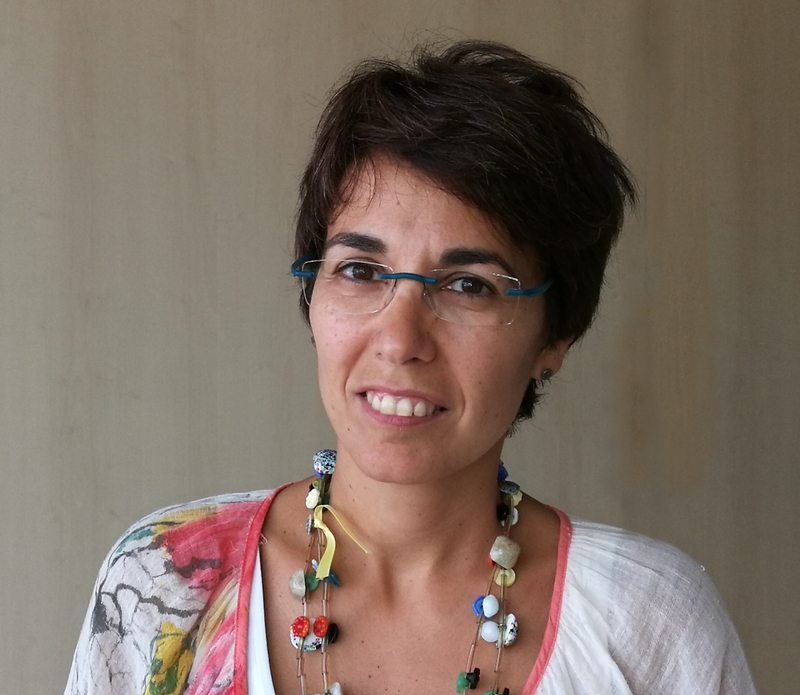 It is important to point out that this project has been running over the last two years by means of combined training with the aim of providing knowledge, skills and tools on patient experience methodology, responsible research and innovative components, entrepreneurship elements and reciprocity and co-design methods. All in all, the aim is to foster a better collaboration among disciplines and specialities so as to anticipate and jointly address emerging trends in health and ageing. Another project initiated in 2017 was the Health Movement project with the aim of creating an ecosystem of the community’s stakeholders to help people lead a healthy lifestyle, adhere to treatments and receive personalised attention by means of Social Impact bonds, a financing instrument, a subject which we will delve into deeper on another occasion on this blog. During 2018, new health technology assessment projects have been initiated. Examples are the ApneaBand project, where a protocol will be designed with which to assess the implementation of an innovative device to detect and measure sleep apneas and the LiverScreen project in which a new, cheap, fast and non-invasive method used to diagnose cirrhosis at an early stage will be assessed. In short, there are a lot of innovative projects in the pipeline with which to continue learning and adding value. Post written by Marcel Olivé and Gemma Cabré. Annals de Medicina is a journal of the Academy of Medical Sciences and Health in Catalonia and the Balearic Islands. It is published quarterly in Catalan but is now done so exclusively in its electronic version since 2012. It offers articles of dissemination, debate and synthesis related to aspects of health and the local health environment with a diverse, open and independent spirit. The AQuAS collaborates with the magazine in creating awareness of projects and initiatives in a section called “Trials and evidence”. If we ask ourselves about the value of this collaboration we can highlight the importance of publishing top scientific articles in Catalan and also its distribution at a country level among members of the Academy. On the other hand, it goes without saying that being an open publication means there are no restrictions in making oneself known to all readers who might be interested, including citizens, patients, health professionals and those in other sectors. Articles written by authors at the AQuAS are the result of a desire and a commitment to share knowledge with the citizenry and health professionals. Today we speak with the people in charge of Annals de Medicina, Xavier Bofill and Marta Gorgues. How long has the magazine Annals de Medicina been around? The first issue of the journal dates back to 1907 (although between 1878 and 1879 some issues were published as “Anales de la Academia y Laboratorio de Ciencias Médicas de Cataluña”.) Over time, there have been several interruptions which have marked the different stages of the journal. The last time it was relaunched was in 1998 and it has been running ever since. In a few words, how would you define Annals de Medicina? Close proximity, committed and diverse. Close proximity, in the sense that it deals with subjects of our most immediate environment; committed, as it is about current problems; diverse, because of the variety of sections it is made up of. What added value does the journal provide society with in your opinion? 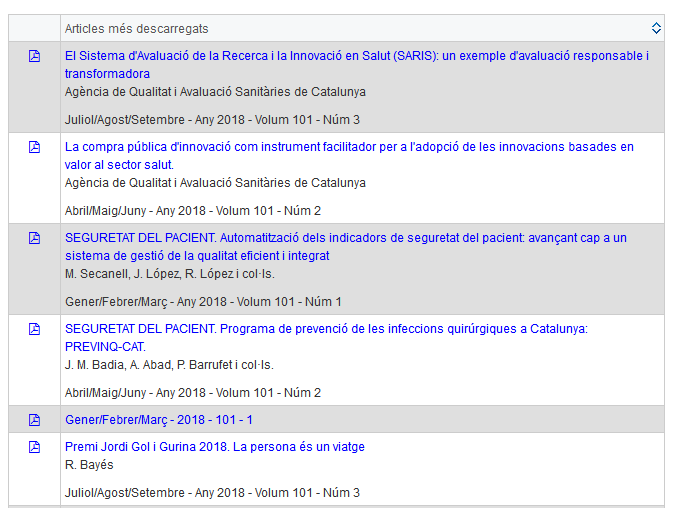 It is a source of rigorous information on a wide range of subjects related to health and it is of open access to all; it is written in Catalan; it enables professionals in our area to explain their work and to share experiences; it revisits old texts that we should keep in mind; it pays tribute to medical personalities of our own. Could you point out similar journals? All journals have their role to play. In the same way that Annals de Medicina is the Academy’s magazine, we could highlight the importance for all organisations to have a journal of their own (or in a similar format) which serves as the mouthpiece of their institution. One of the novelties of the magazine’s website is that the most downloaded articles can be consulted. The previous articles can be consulted on the journal’s website.